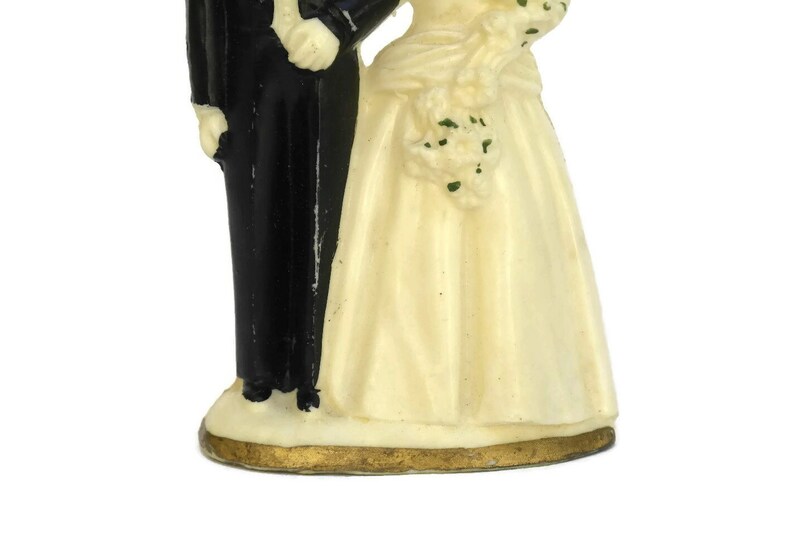 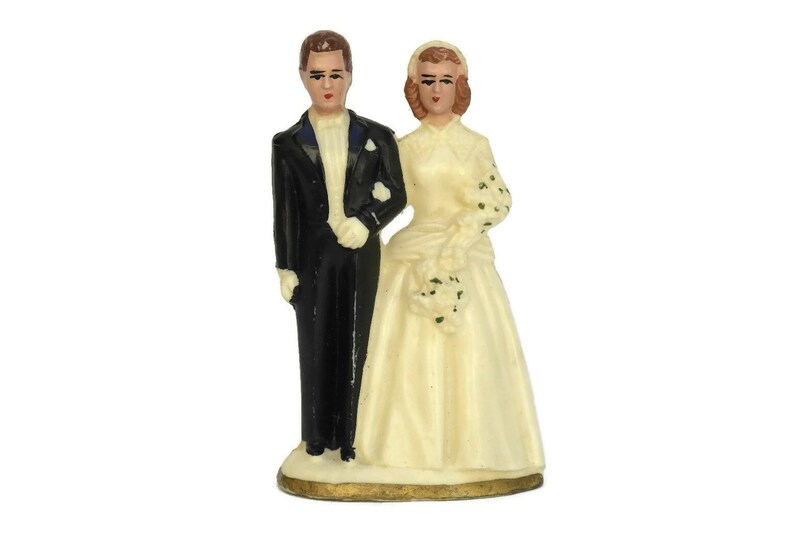 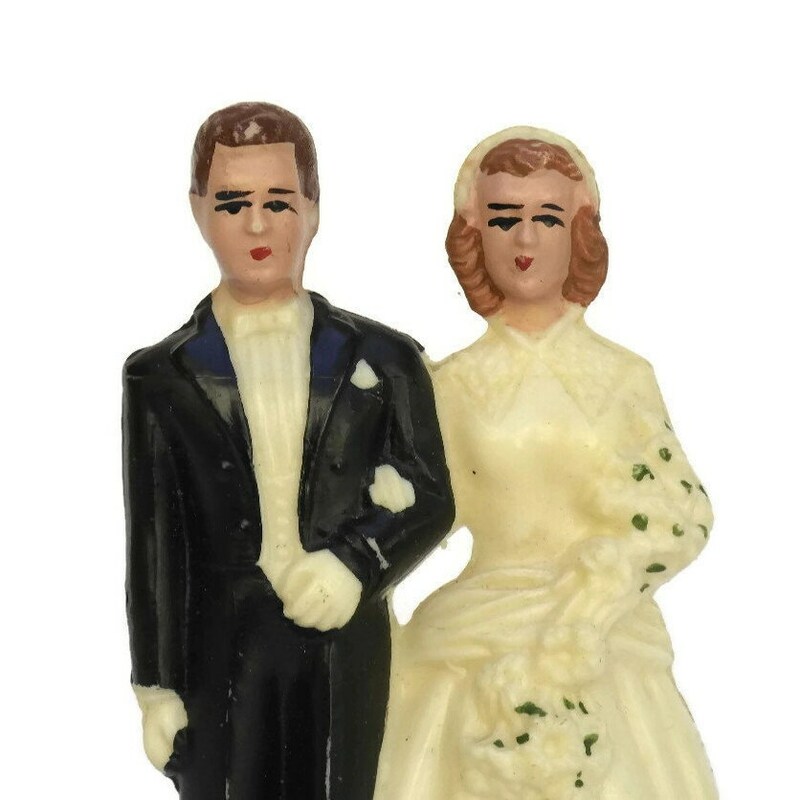 An adorable antique French wedding cake topper dating to the 1940s. 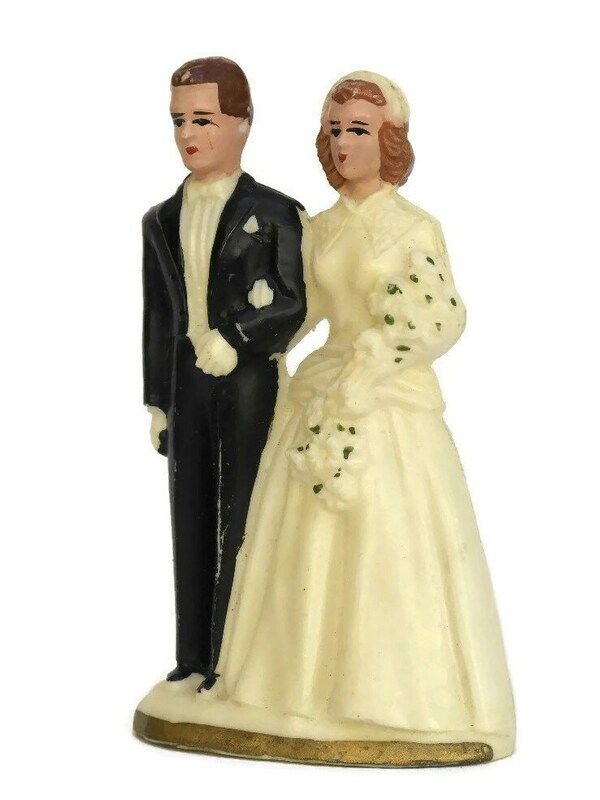 It features the figure of a bride and groom dressed in vintage fashion. 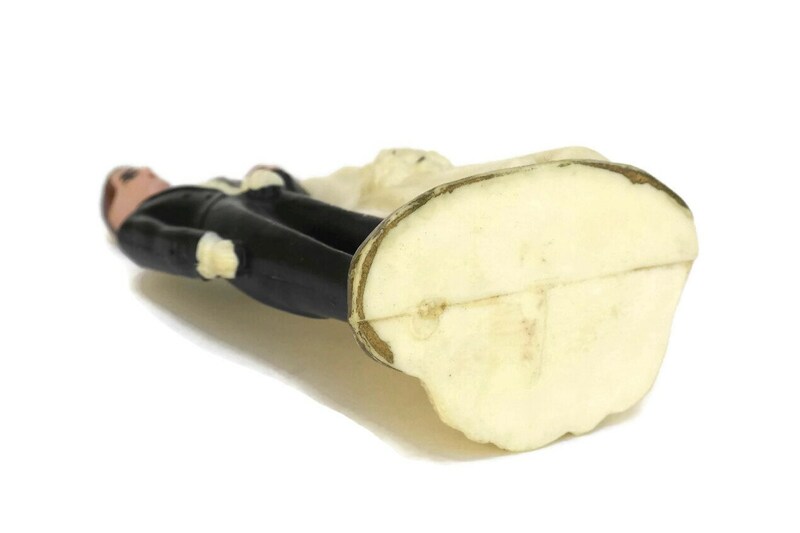 The piece has been cast from plastic and hand-painted. 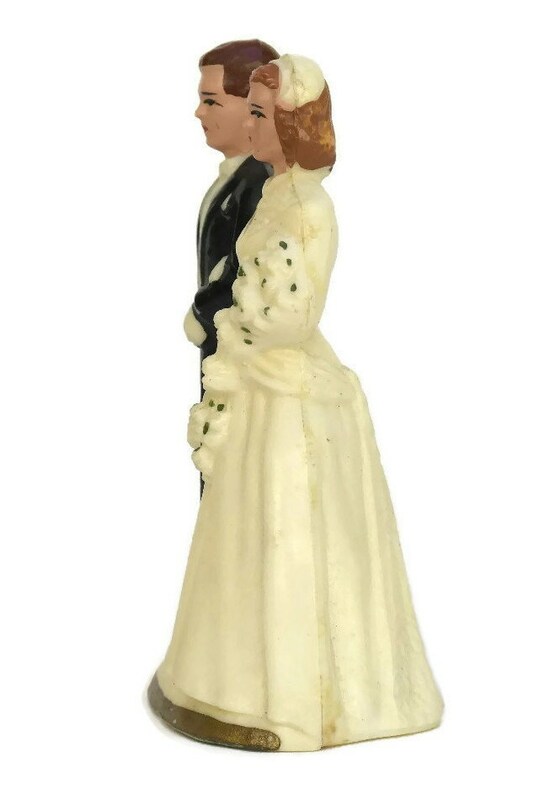 It would make a great newly weds gift, a wedding anniversary or an original accent to a French marriage style decor. 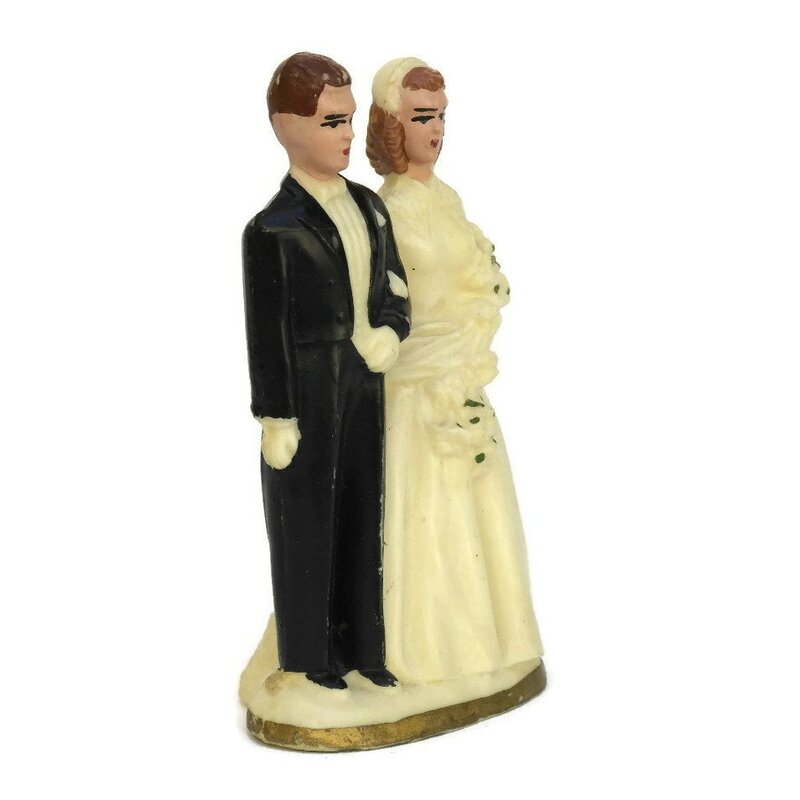 3.5" Tall x 2" Wide. 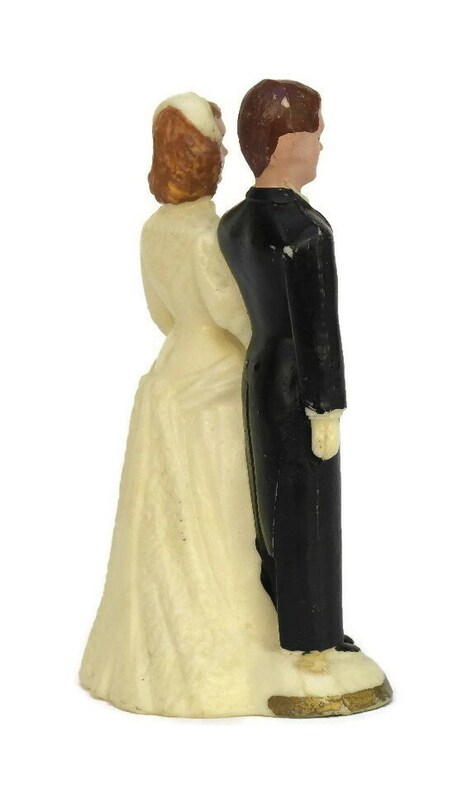 (9 cm x 5 cm). 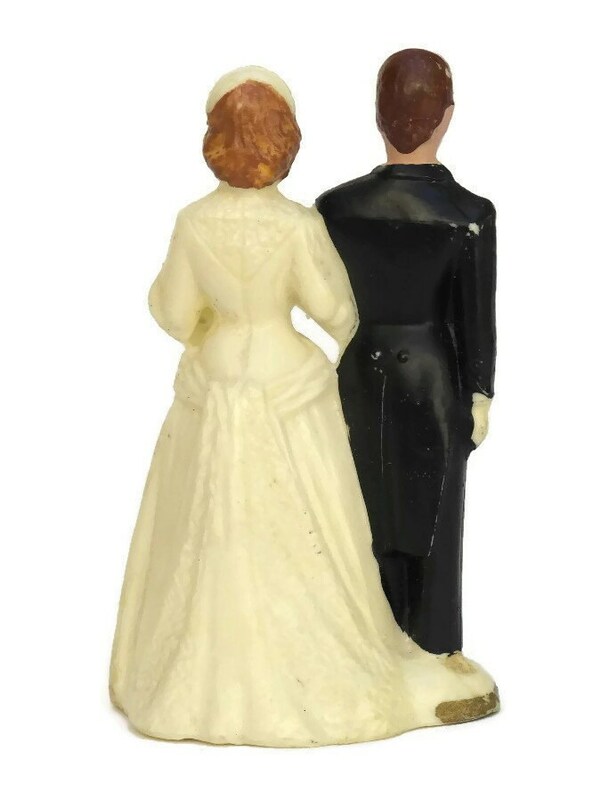 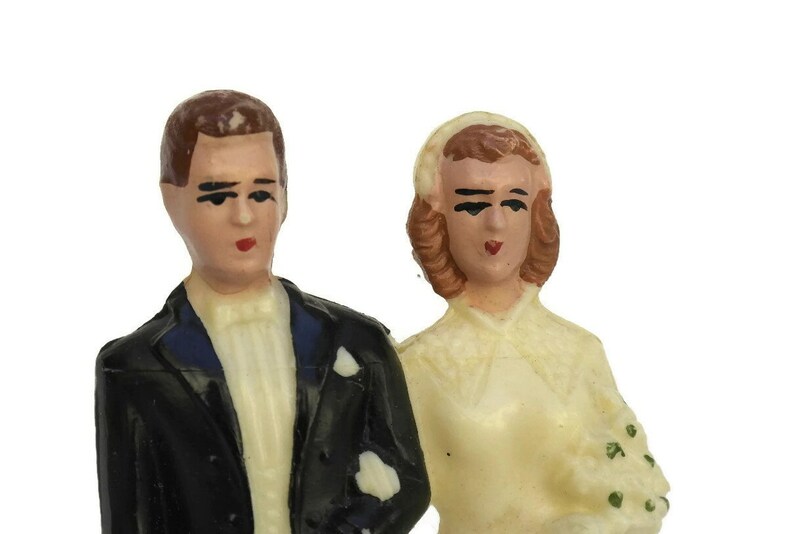 The wedding cake topper is in good condition with signs of age including patina and small flakes to the paint.